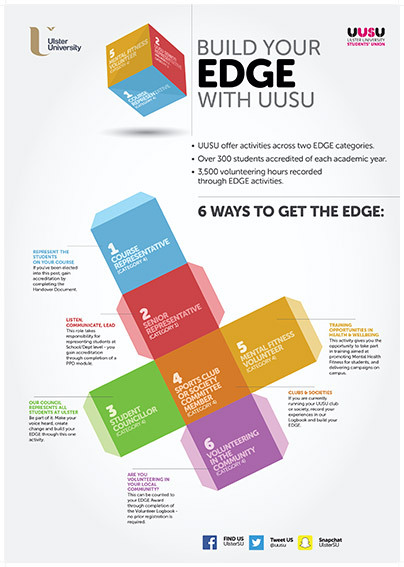 Ulster University announces its eighth conference to foster the exchange of best practice in employability. The conference will explore the importance of employability within the context of Ulster’s 5 and 50 Strategic Plan and associated metrics and pledges. Metrics, however, only improve through the work that underpins them, such as; the student experience, widening participation, curriculum design and engagement with employers. Keynote speakers will present innovations in learning and teaching and how these approaches are addressing barriers to student success. Issues relating to student and graduate recruitment and how we can best support our graduates to be more competitive will also be examined. In addition, there will be parallel workshops and a poster market place disseminating employability best practice within the themes of work-based learning, technology for employability and curriculum design. The conference will be of interest to policy makers, academics and careers advisers, who are involved in the challenge of embedding, teaching and supporting employability within HEIs. 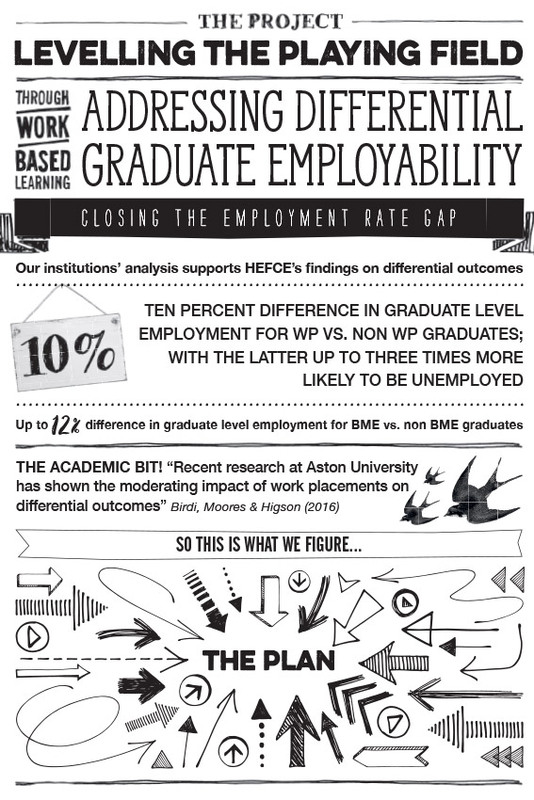 This presentation will re-visit HEFCE’s analysis of degree and employment outcomes which has shown how certain groups of students do not achieve the degree attainment and progression outcomes that we would expect. It will outline what action HEFCE has taken to date and highlight the work that will be taken forward in the recently announced Barriers to Success programme. Employability is currently a key concern to governments and of Higher Education Institutions; however, the term itself is often hugely misunderstood. The focus of this work often centres around the work of Careers Services and isolated and often disjointed curriculum related activities, with the impact then being measured in terms of skills and static snapshot employment measures. 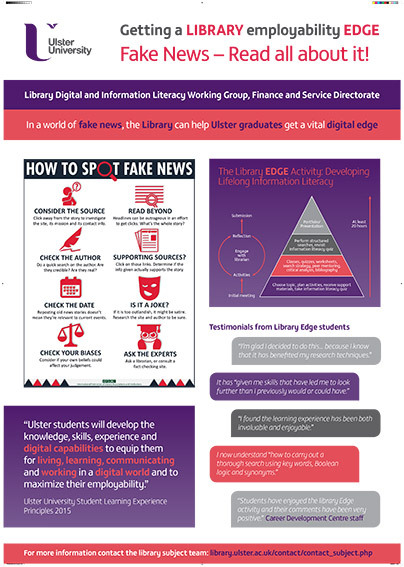 It is therefore critical that we reflect on the current narrow discourse in this area of work and consider how education, industry and students can collectively broaden their thinking to ensure that they have a shared understanding and are working towards mutually agreed areas that underpin future success. This session will introduce some new thinking around employability that presents an opportunity to reposition this work as central to learning, both situated within the curriculum and beyond. Whist a degree remains a fundamental part of graduate recruiters’ selection processes, today’s labour market demands more of our graduates. Skills that go beyond academia are essential to build the gap between higher education and the workplace. It is critical that Universities prepare students and graduates to be capable of demonstrating desirable skills such as leadership, resilience and commercial awareness. 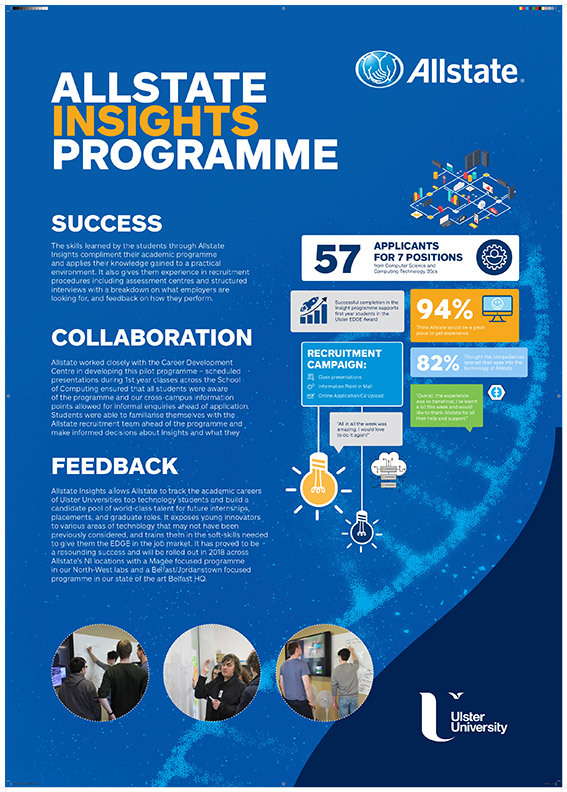 Major changes in recruitment and selection processes across the sector, including competency based assessment have been established to attract a more diverse graduate talent pool. This session will give insights into PwC's approach to early talent identification and strategies for effective engagement with Universities. Professor Fee is a Professor of Public Services Education and began her career at Ulster in 1992 as a researcher in public procurement. Professor Fee takes an active role in learning, teaching and civic engagement within Ulster University that includes access to Higher Education and widening participation, accreditation of prior and work-based learning, and working with a range of collaborative partners of Ulster University including the Police Service of Northern Ireland (PSNI), Health and Social Care Trusts and regional colleges. She is the lead agent for education partnerships between Ulster and the PSNI College. At an international level she has designed programmes with the National Police University of China (NPUC), NI-CO and the Chenega Corporation, and established relationships with a number of US and Canadian institutions including Rider University and the University of Guelph-Humber. Prof Fee's main teaching and research disciplines are policing and the law, and purchasing and supply management law and policy. 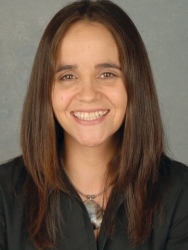 She has published a range of books, articles and conference papers, including articles published in the Journal of European Social Policy and the International Journal of Public Sector Management. Recent grant success includes Horizon 2020 funding under the GAP project (€75k) and ASGARD project (€575k). 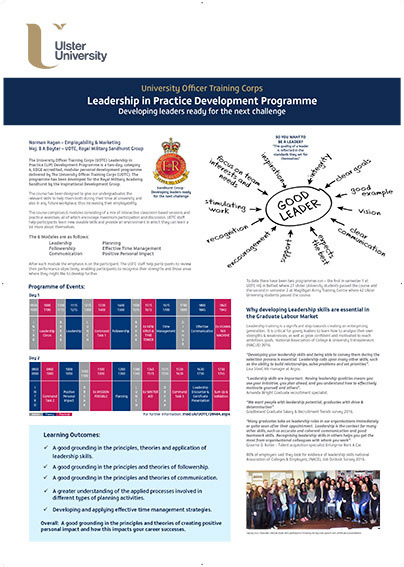 Professor Fee is a Principal Fellow of the Higher Education Academy and a member of the UK Higher Education Forum for Learning and Development in Policing. She was also appointed by the former Finance Minister as an independent member of the NI Procurement Board and is a member of Ulster University Senate. As Head of Student Opportunity, Sarah oversees the broad range of policy development and implementation across the Council’s work to widen participation in higher education which includes supporting activity to widen access, improve student retention and success and support progression to further study or employment. She leads on HEFCE’s funding policy for widening participation and is actively engaged in the development and implementation of the National collaborative outreach programme, a four year programme aimed at boosting the proportion of students entering HE from disadvantaged backgrounds. Sarah is responsible for the Council’s approach to addressing unexplained differences in degree attainment and progression to further study or employment for students from different groups and has lead responsibility for HEFCE’s policy as it relates to disabled students. She is also overseeing the development of an evaluation framework for widening participation which will measure the impact of the sector’s investment and activity on outcomes for individual students and more broadly for the economy and society. Doug is a Senior Fellow of the Higher Education Academy and a Fellow of the Chartered Institute for the Management of Sport & Physical Activity with over fourteen years industry experience and ten years in Higher Education. Doug was recently awarded Honorary Fellowship of the Institute for Enterprise and Entrepreneurs, the highest accolade the institute can award. Previously he spent seven years working in Asia, including China, Hong Kong and Thailand, returning to England in 2007. Doug joined the Higher Education Academy as their Head of Academic Practice in June 2015, moving into the role of Head of Global Employability and Enterprise in April 2017. Prior to this he was Head of Employability and Enterprise at Northumbria University. In 2012 he developed the concept of a framework for employability to support institutions in developing more consistent approaches to this important area of work, with a particular focus on curriculum design. 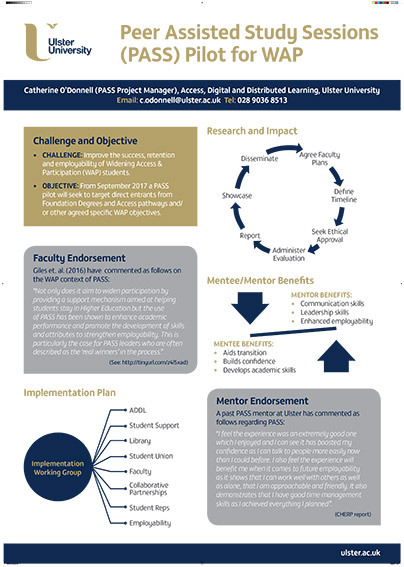 In 2013 Doug went on to develop this work further and co-authored the Higher Education Academy publication Defining & developing your approach to employability: A framework for higher education institutions with Maureen Tibby and both then led on the refresh of this framework in 2015. Doug has spent the last five years supporting institutions to embed this framework both in the curriculum design process, working with Senior Management, Academic Registry, Faculties, departments and programme teams and more broadly across institutions through engagement with other key stakeholders such as Student Unions’ and Careers Services. 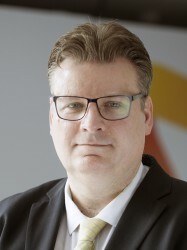 He has worked with institutions across the UK and internationally, including; the Ministry for Education, Higher Education Council and British Council in Bahrain, fourteen universities across Bahrain, the University of Adelaide, the University of Tasmania and the Association of Higher Education Careers Services in Ireland. Doug is currently studying part-time for a PhD with Northumbria University focused on institutional employability policies and practice in Higher Education and is in his final year. 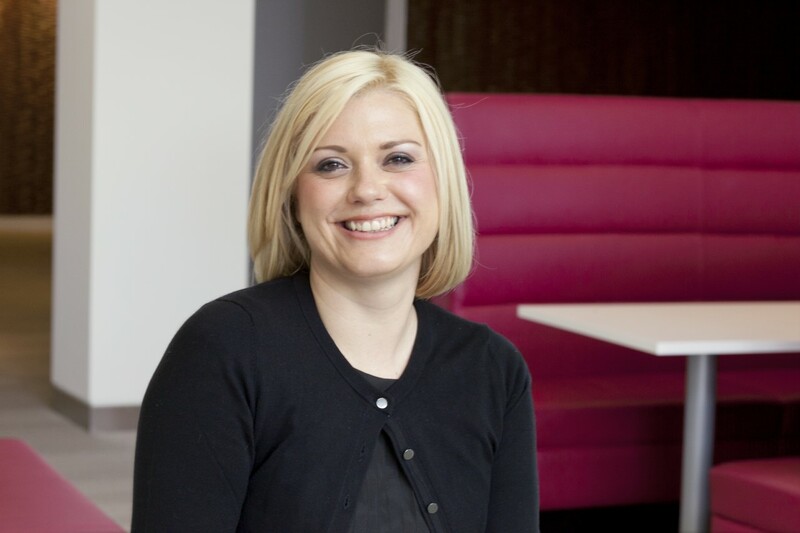 Louise Farrar is the Head of Student Recruitment for PwC across the UK, with over 16 years' experience gained at the company. PwC is the UK's largest private sector student recruiter and has been part of the team who secured the position of Times High Fliers Graduate Employer of Choice for the 13th year running. The team forms part of the UK's wider sourcing function which aims to deliever the best in class competitive advantage to the firm through its sourcing. Louise is responsible for overseeing a team of senior managers, managers and officers accountable for the delivery of the student recruitment service to the PwC Lines of Service nationally - Assurance, deals, Consulting, PwC Legal and tax, offering opportunities to school leavers, undergraduates and graduates. 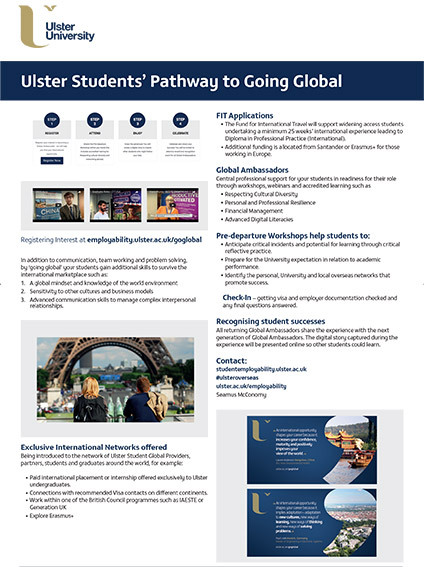 This event is being held at the Jordanstown campus of Ulster University. 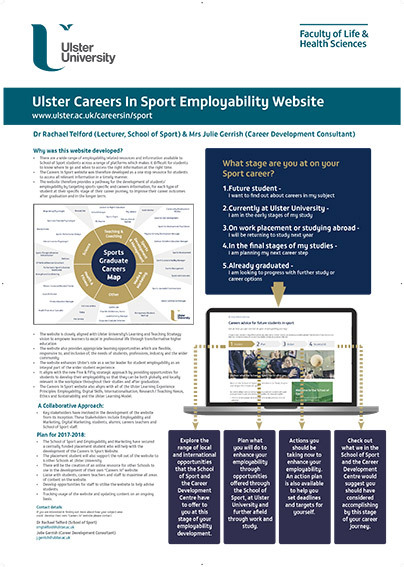 Careers In Sport is an innovative website created in partnership with the School of Sport, employability and marketing, and digital communications teams at Ulster University to enable prospective, current and graduated students to explore, plan, action and accomplish employability enhancing goals depending on which stage of Ulster’s employability journey they are on. This website is a resource for both staff and students with a key aspect of it being linked to the HEA’s Employability Toolkit. Ultimately the resource is about informing, inspiring and raising the aspirations of prospective, current and graduated sports students from our degree programmes to plan effectively for their career development and progression wherever their degree in sport takes them. In this workshop find out how to create your own subject specific version of this resource. 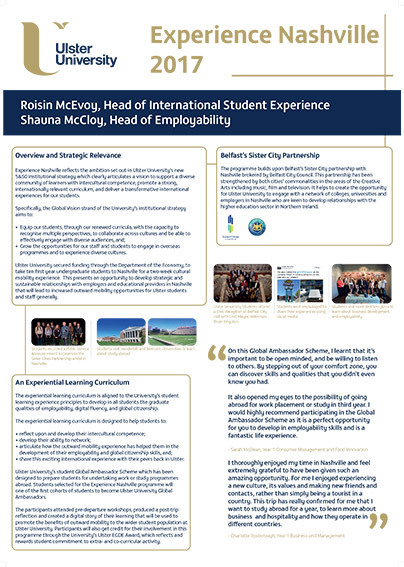 In the context of ensuring the integration of employability and entrepreneurship into the undergraduate curriculum, this workshop provides an insight into how a student-centric approach can influence the design of innovative employability related modules. The workshop aims to provide an insight into how a student-centric approach can be utilised in the development of innovative curriculum, commercial awareness and longer term graduate employability. This will support course teams in preparation for revalidation and embracing the new vision for curriculum design and assessment. 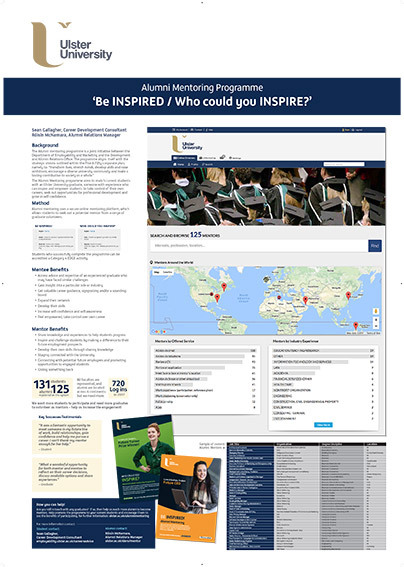 It will include an overview of module design, structure, content and the assessment strategy, which includes an "elevator pitch" and a "mash up day" developed jointly with employers – to firmly embed employability within curriculum, simulate current graduate recruitment practices and provide an insight into consultancy and entrepreneurial problem solving. Workshop Three: Does Careers Education Work? Measuring the impact of credit bearing careers education. Are we preaching to the converted? 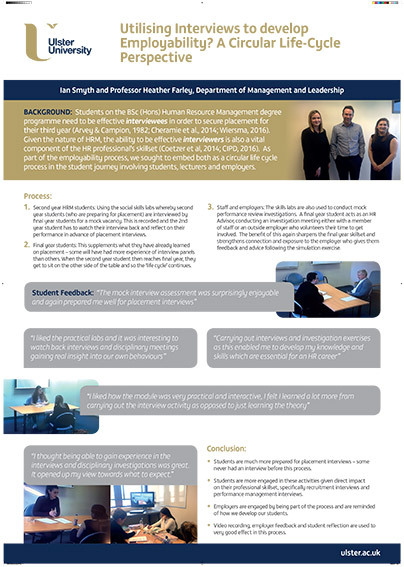 Our HECSU funded study (2016) measured three years of graduates and sought to evaluate the impact of credit bearing careers education on the destinations (as defined by HESA and DLHE) of graduated students using the DLHE survey. A module attend and control group were utilised. Furthermore we surveyed our final year students to measure the impact careers education had on their preparedness to graduate (again a control group was utilised). The research found significant impact - that credit bearing careers education increases the likelihood of graduate success and similarly finds that students who complete a level two careers module report feeling more prepared to graduate. 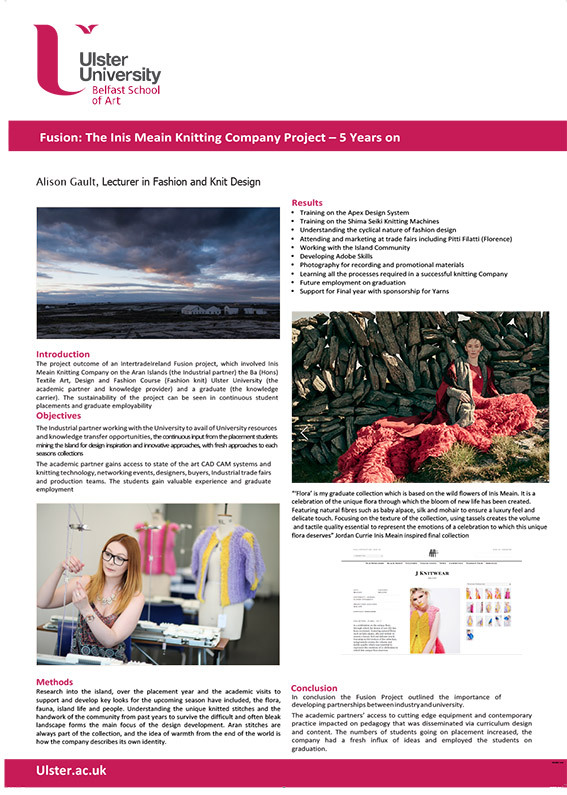 Once complete we presented the significant findings to a group of University management. 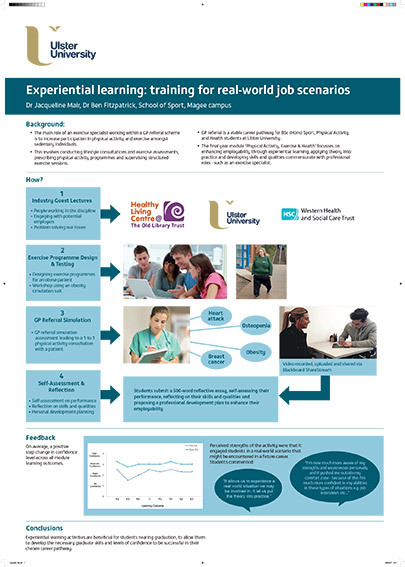 While positively received the question emerged that “surely students choosing to take these modules are more motivated anyway and thus would have done well regardless?” A follow piece of research was again funded by HECSU and measured the motivation of students for choosing careers education as one of their module choices. This research also measured the students learning gain and the impact of this will be presented. Why is research in this area scant - are we assuming students always benefit from our interactions? Research methods: the route we took to secure robust findings. Outcomes: Research findings and questions raised? “What are the implications of these findings”? While we are pleased with the findings what do we do about the flipside? Is patting ourselves on the back about our success appropriate? 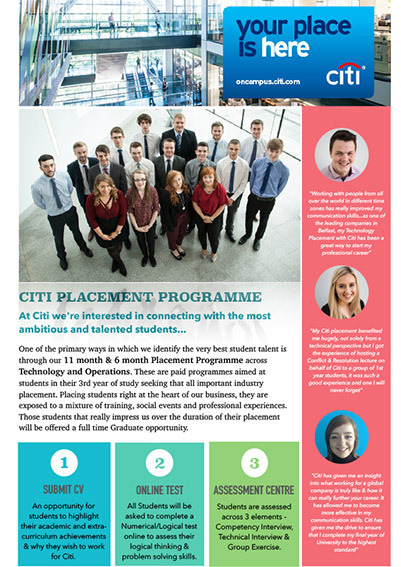 Learning Gain: What have our students gained by taking an optional credit bearing careers module (distance travelled student responses)? Would they have done well regardless – are we “preaching to the converted?” Are students on careers modules more motivated? What are the implications of these findings? What do we do next and how do we disseminate and secure impact? Who needs to know? Dissemination and Impact: The value of this research and what next? The impact of DLHE on league tables – can careers education help? Ruth O’Riordan, Senior Careers Adviser, University of Dundee. Ian Smyth - Using Interviews to Develop Employability?